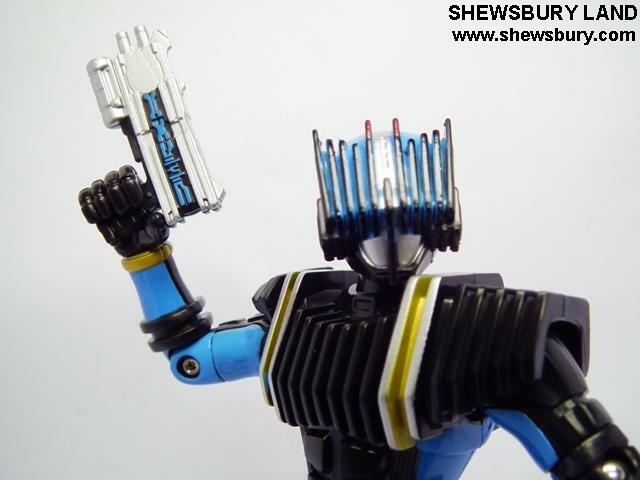 This is the review of Final Form Ride FFR06 Kamen Rider Diend. Kamen Rider Diend is the best friend of Kamen Rider Decade. 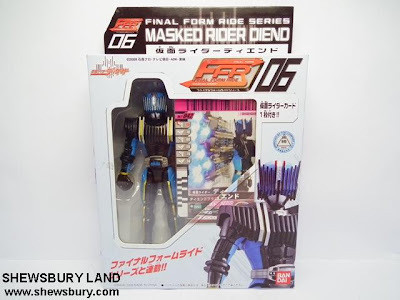 So it is natural that if you collect those Kamen Rider figures from FFR series, at the end you will just grab Diend for the sake of completing the collection. Diendriver gun that comes in two modes (long and short). 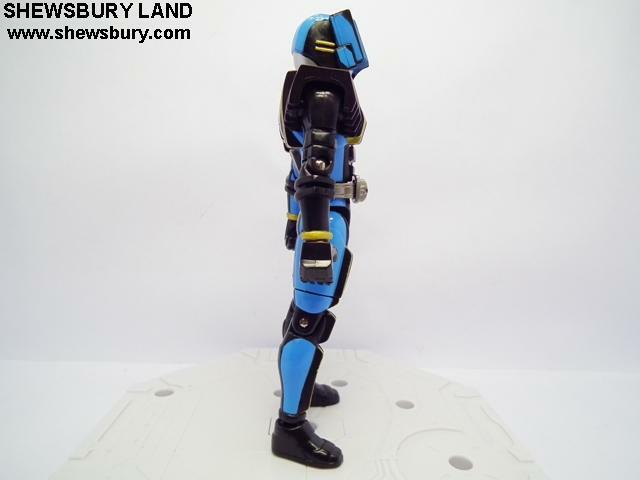 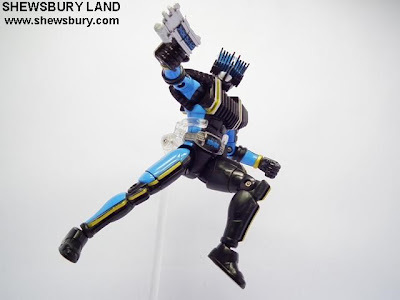 A stand is included for a stable display when setting him in dynamic action poses. 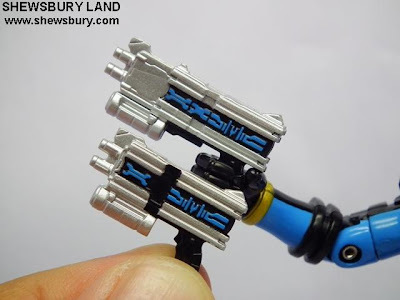 The details and painting is good. 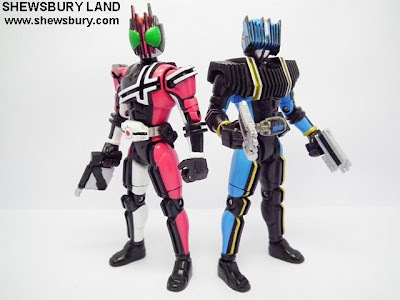 For some reason, I think the belt of this Diend looks better than the FFR00 Kamen Rider Decade and FF11 Kamen Rider Decade Complete Form. 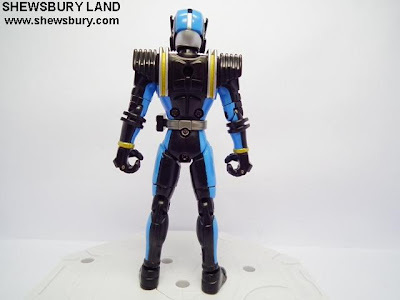 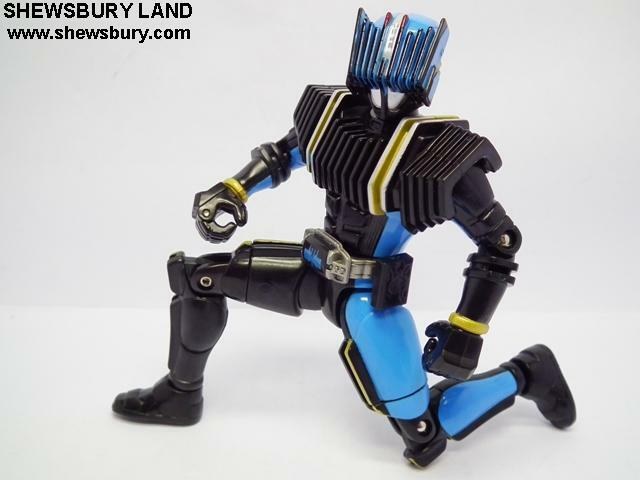 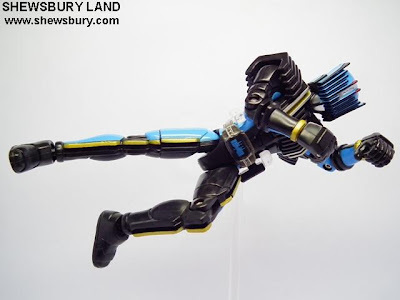 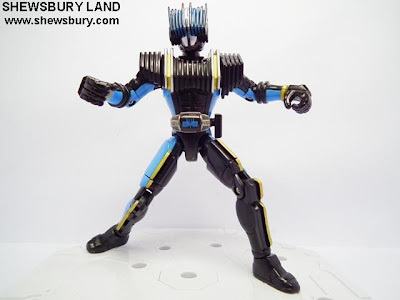 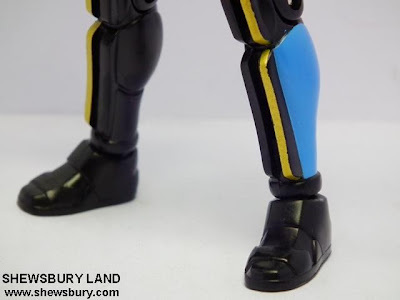 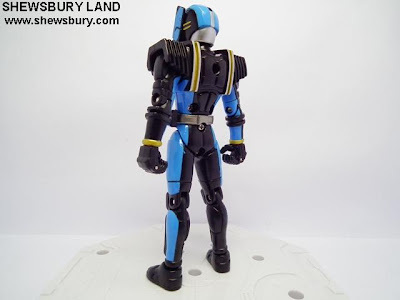 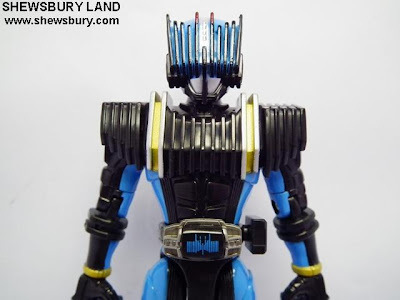 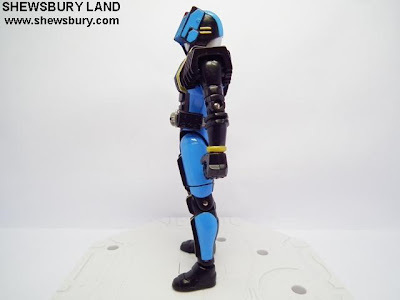 The body frame and limbs design of this Diend is not far different from Decade and thus he have good articulation and more dynamic pivot points and movement range if compared to the othe Riders in the FFR series. 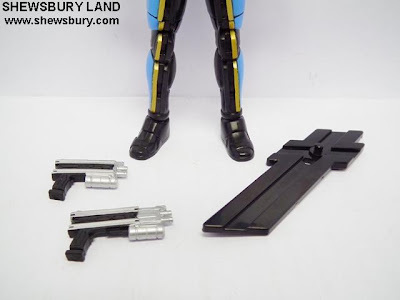 Diendriver gun that comes in two modes (long and short). This Diend cannot transform into anything, but any of the transformable Kamen Rider action figures and their accessories in the FFR series can be used by Kamen Rider Diend for recreating their combined Final Attack Ride finisher! 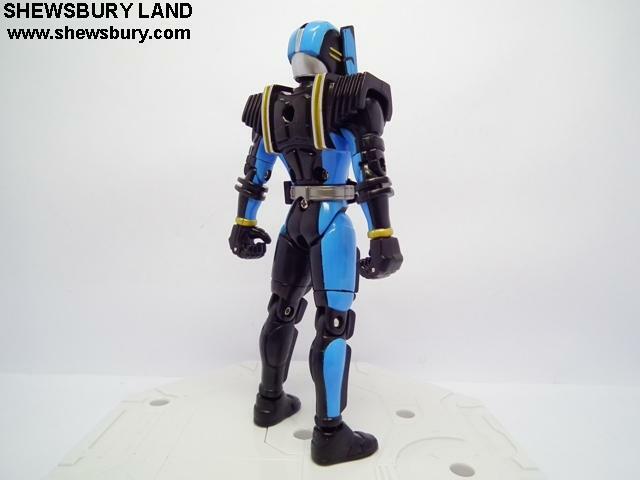 Nothing special on this Diend, I guess many people don't mind to just skip this figure. 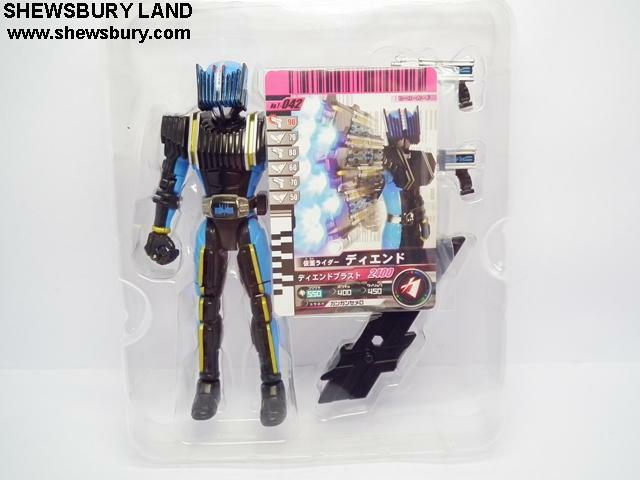 He cannot transform into anything but instead he can used the rest of the Kamen Rider in the FFR series the way Decade can use them. 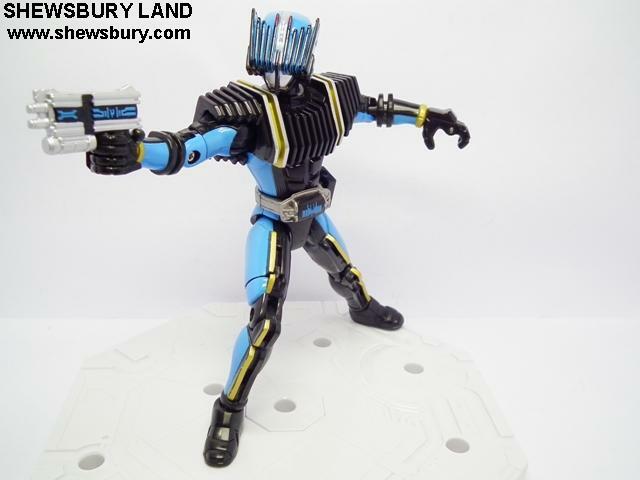 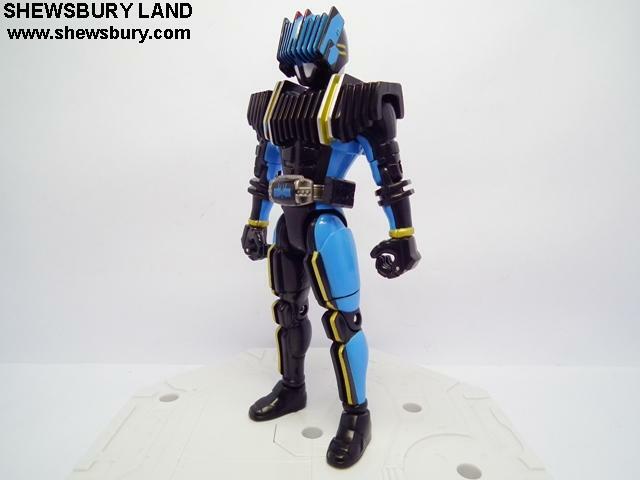 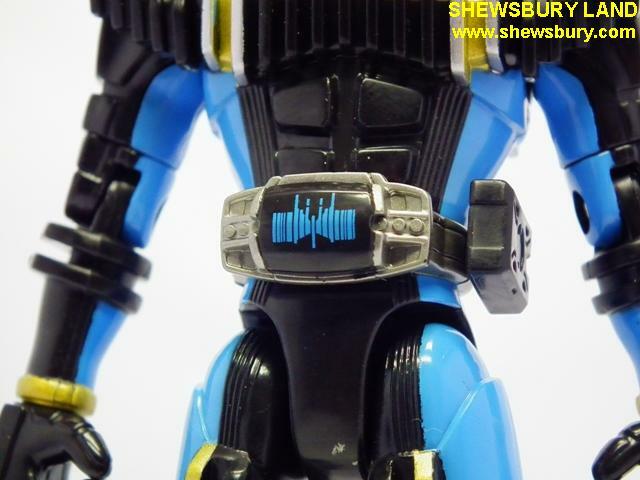 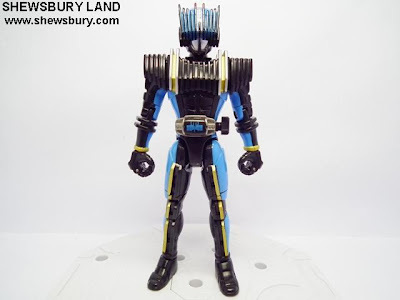 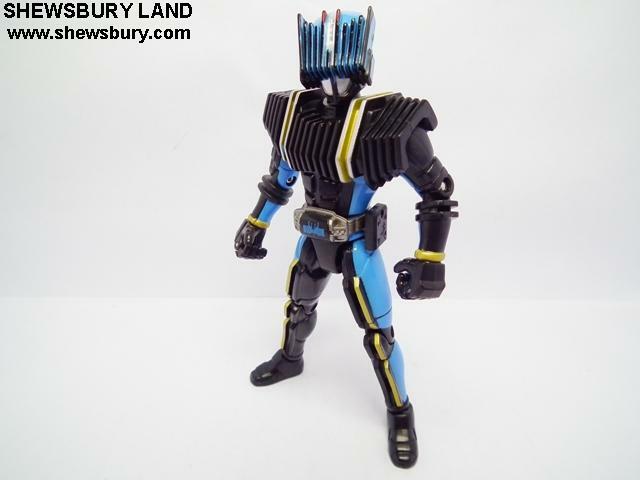 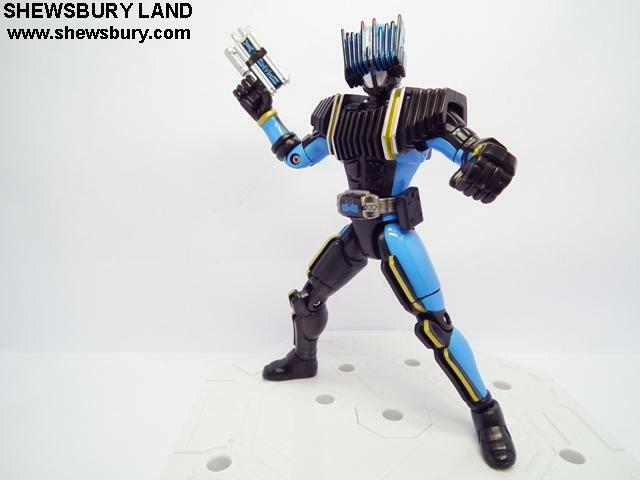 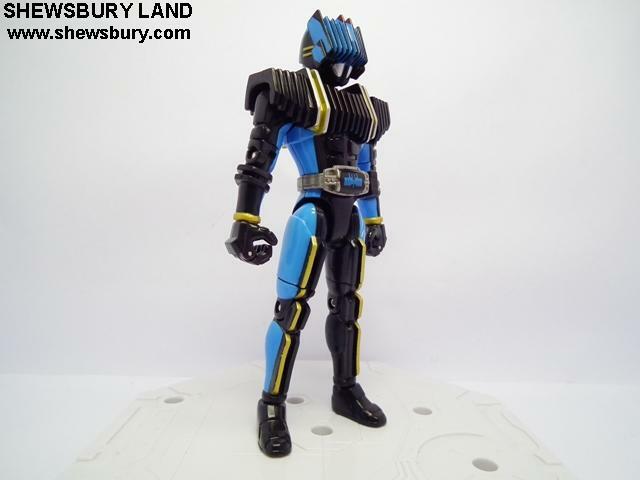 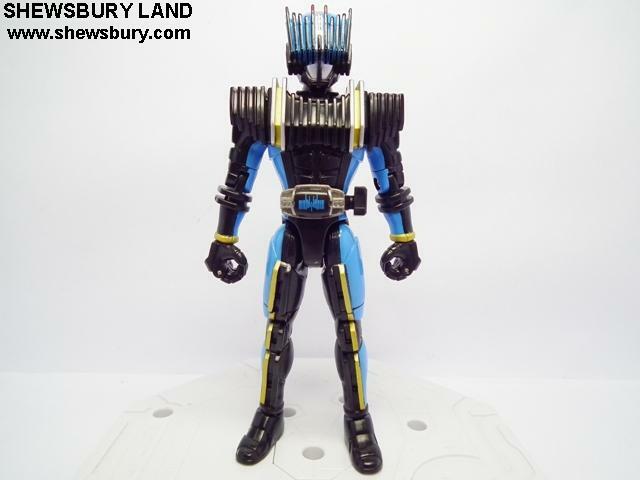 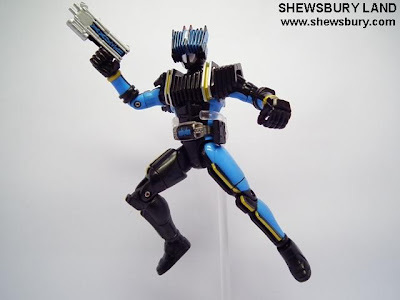 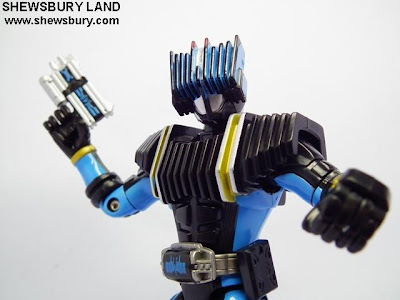 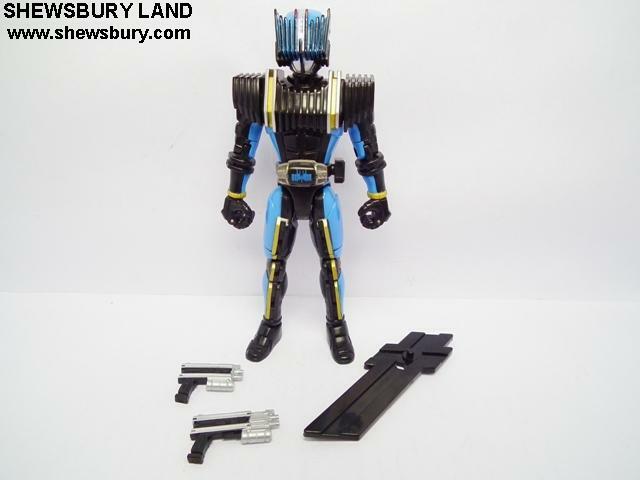 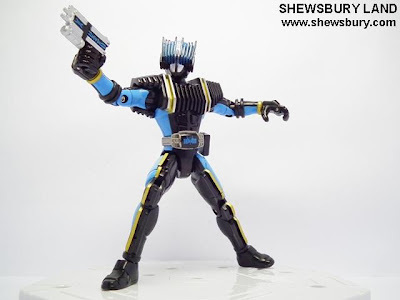 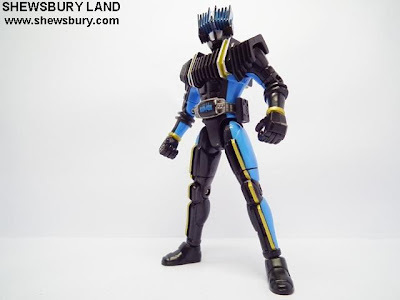 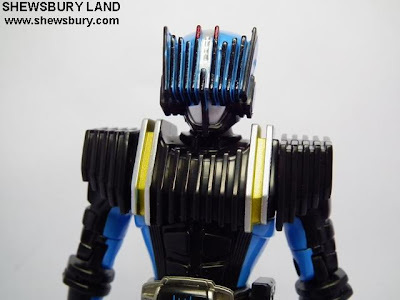 So I think in a way, Diend is just a blue version of Decade. Overall, this figure have good quality, nice design, have good articulation and 2 guns as the weapon. The price is 2,300 yen (about SGD 37.00) - would be nice to have it if the price is slightly lower than that.